The warm air which brought record December temperatures to parts of Iceland earlier this month has now moved on and winter is well and truly with us, according to latest weather forecast. Many parts of Iceland woke up to a light covering of snow this morning with temperatures at or around freezing point. Snow shows are expected throughout the day in southern and western parts of the country. White Christmas for Iceland this year? The Iceland Met Office has also a storm warning for this evening and during the night, in initially in the south-west of the country. 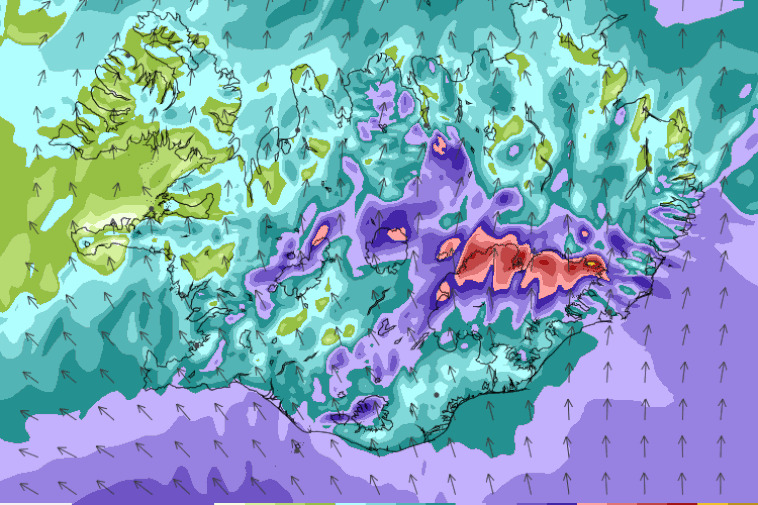 Winds are expected to gust up to 55 mph, with heavy precipitation, particularly in South Iceland. Longer-term forecasts show temperatures remaining at or around freezing point right through to the end of the week. Check out our full weather forecast service on Iceland Monitor here.